Compare the plumage of the juvenile with that of the adult Double-crested Cormorants. 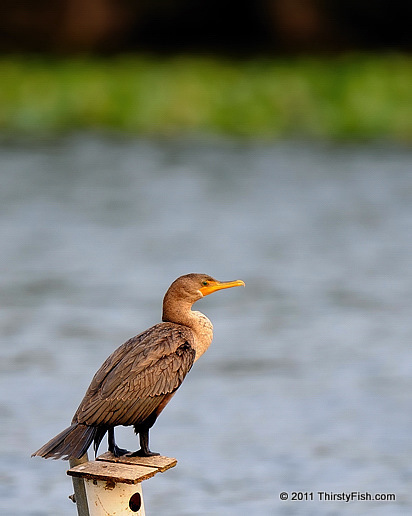 Double-crested Cormorants are widely distributed throughout North America, however they are also rare vagrants to the Azores, Great Britain and Ireland. Vagrancy is a phenomenon in biology whereby individual animals appear well outside their normal range. Someone recently mentioned that I was well outside my normal range. Hmmm.